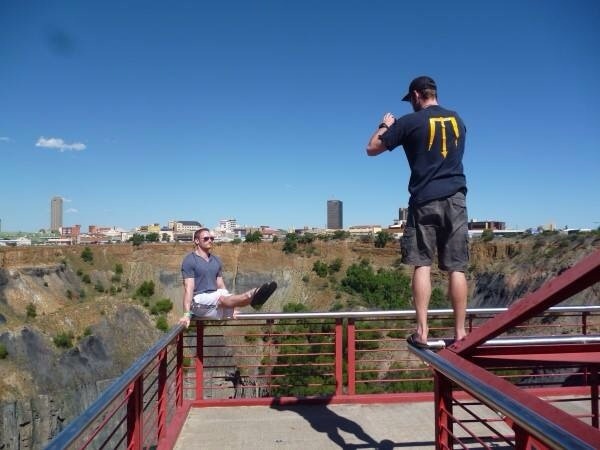 Well we decided to take a road trip to Namibia for a competition that was being hosted there. This journey would take us from the east coast of Africa all the way to the west coast. It was Allan, Jesse, and me in the Land Rover for a three day journey that covered 2575km (1600mi). Talk about a lot of driving! The route would be Durban to Kimberley the first day. 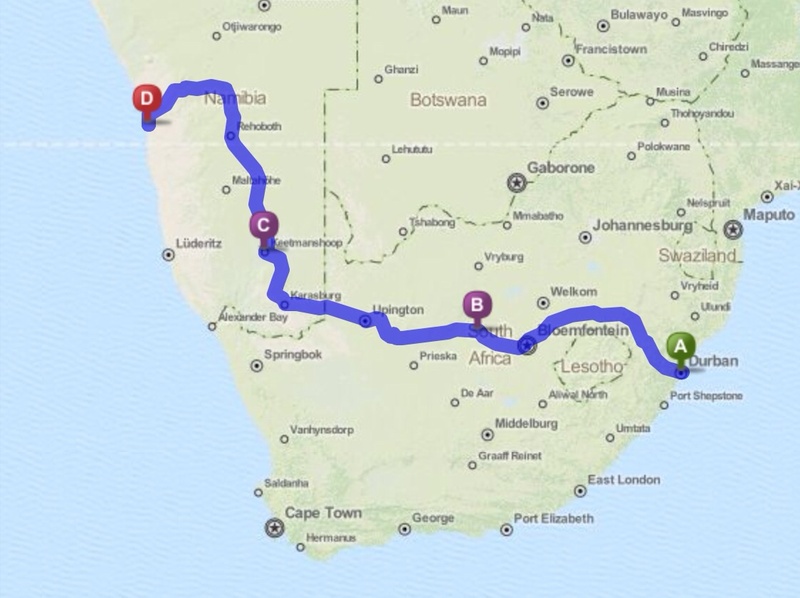 Next would be Kimberley to Keetmanshoop, Namibia and then finally the third day making it to Walvis Bay. We had roughly 10 hours of driving each day. Waking up and leaving at 5am Friday morning December 5th, it was time to start the trip. We made sure to bring snacks and drinks in the car to help cut down on some stops. For the most part we only ended up stopping when we needed to refill with diesel. Arriving in Kimberley around 3pm, it had been a good day of driving without any issues. 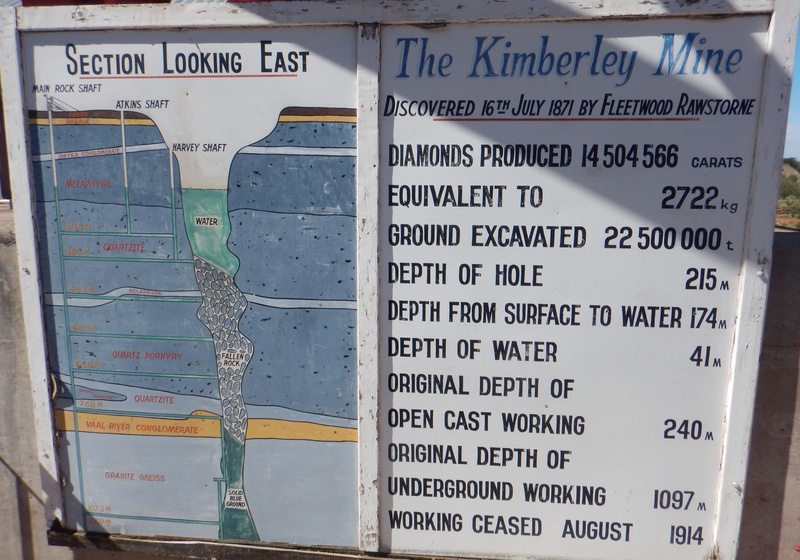 On top of arriving so early, the diamond mine at Kimberley was still open so we were able to visit it. The diamond mine started out as an open pit mine in 1871. All of it was hand dug and hauled away by manual means. This was interesting to see and visit because it is also the largest hand-dug mine in the world. Viewing the hole from a suspended platform, we were able to see inside at the enormous size of this mine. It was 214 meters deep and the bottom was filled with blue water. Jesse and I proceeded to take a couple gymnastics pictures disregarding the sign about climbing on the railings, which we just so happened to miss. 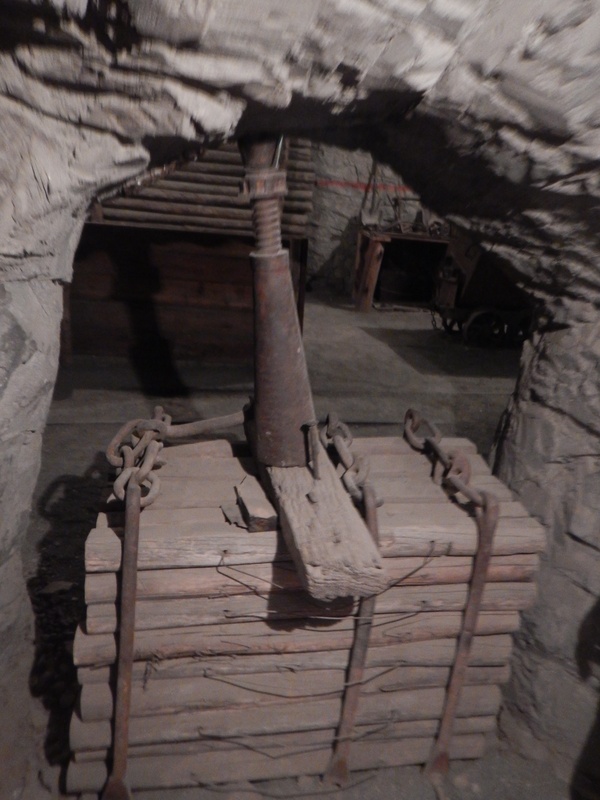 After viewing the hole from above ground, a tour was in store that headed underground and showed us some more of the history and development of the diamond mine. I enjoyed learning about the diamond mining process. 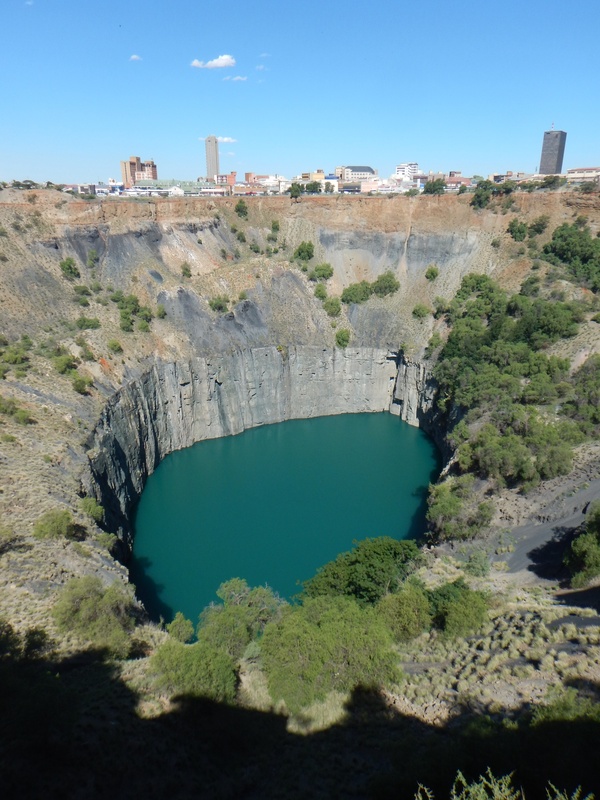 Kimberley mine started as an open cast mine and then moved to an underground mine. 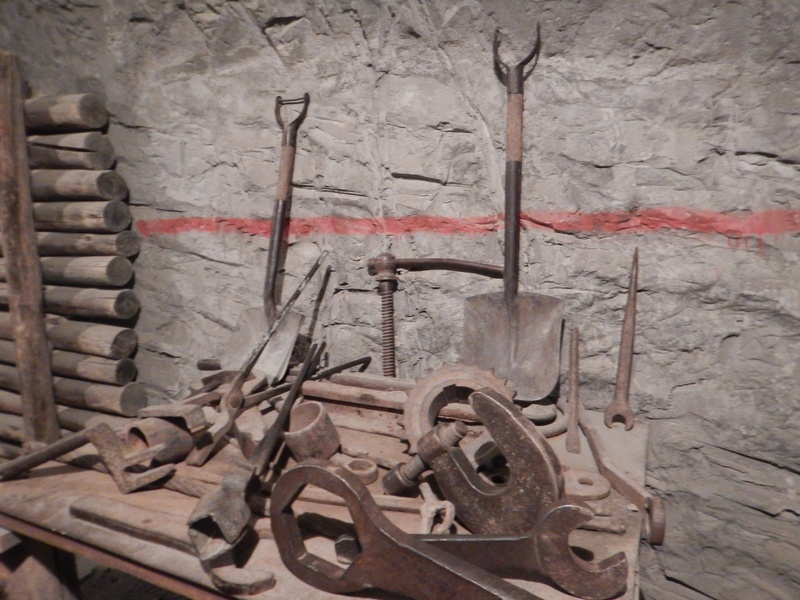 We were able to see some of the different tools and equipment used to excavate and protect the miners. Staying the night at a B&B, the next day we weren’t in as much of a rush and were able to enjoy a nice tasty breakfast. Today, I started off the drive and of coarse this is when there is road work and some potholes to dodge. Allan had to have planned it this way because whenever he drove it was straight easy driving but as soon as I started, the roads became twisty, windy, and a headache. It was nice to do some driving and before we knew it we were at the Namibian border. Crossing the border without any issues, it was the home stretch to Keetmanshoop for the night. Another successful day of driving completed and we arrived at the B&B. 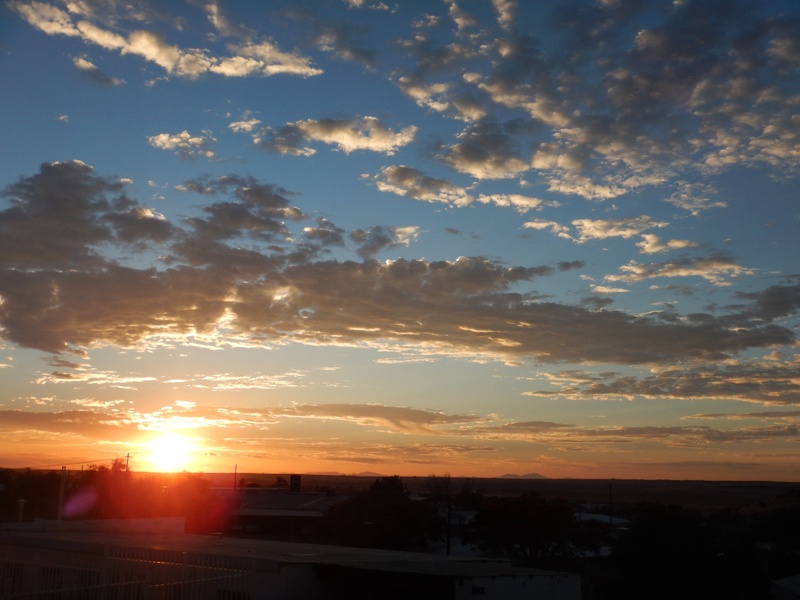 This is the final day of driving 10 hours before arriving in Walvis Bay. Once in Namibia, the scenery changed and we started seeing a lot more desert and sand. It almost felt like home back in Arizona with this type of scenery. Each river crossing we drove over was dry and did not contain any water. Just outside of Walvis Bay, we stopped to check out the ocean. 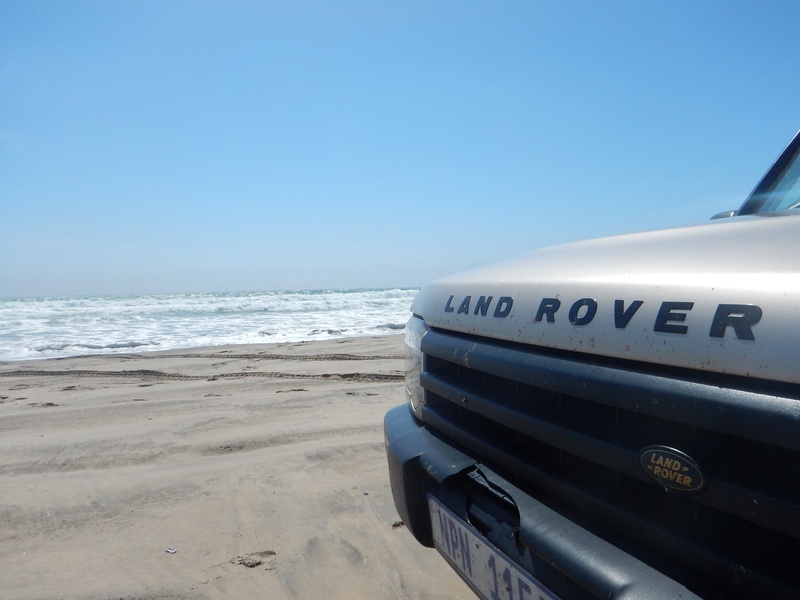 Since we were in the Land Rover, we drove on the beach right up to the waters edge. It was so nice to stretch the legs and enjoy the cool Atlantic Ocean breeze. Couldn’t believe we were looking at the Indian Ocean just three days ago! Pulling into Walvis Bay, we dropped off our bags at the hotel and headed straight to the competition arena. We had just found out that there was training today, on Sunday. Even after the 10 hour drive, Jesse had to get to work coaching for a couple hours while I was able to relax. As you can see I sure felt bad for him. After surviving three days of driving, it was time to enjoy Walvis Bay, the competition, and the fun activities ahead! Thank you!! I am glad you are enjoying it! I am definitely having a good time on this adventure!